Friday, November 9 › 4:30-5:30 p.m. 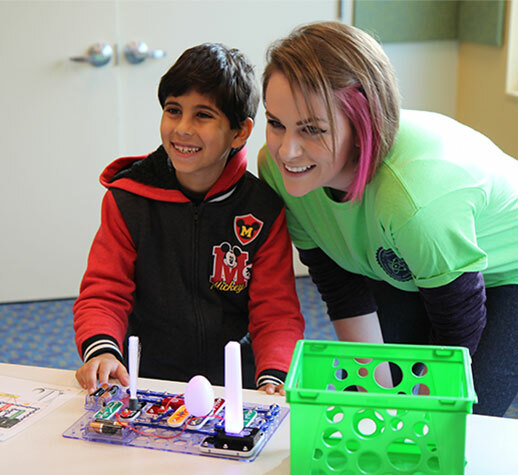 Experiment with Snap Circuits, a colorful building set that introduces the basics of electronics. Young engineers will enjoy creating their own simple machines while learning about motors, lights, speakers, resistors, capacitors and switches. Registration: Begins Tuesday, October 30.